Capt. William R. Dawson SC, USN (Ret.) of Annapolis, MD passed away on Aug. 25, 2018 after an extended battle with Merkel cell carcinoma. Bill grew up on Long Island and graduated from Paul D. Schreiber High School in Port Washington. He attended Deerfield Academy in Deerfield, MA for one postgraduate year prior to entering the U.S. Naval Academy in 1978. He graduated and was commissioned as an ensign with the Class of 1982 after spending four years as a member of 25th Company. After graduation from Navy Supply Corps School, Bill was stationed aboard the frigates JESSE L. BROWN (FF-1089) and GARCIA (FF-1040) before he was assigned as Flag Aide to the Chief of the Supply Corps. He served on the Joint Staff prior to going overseas for two years to the Navy Supply Depot Subic Bay, Philippines. He also served afloat aboard the aircraft carrier JOHN C. STENNIS (CVN-72) and was the Supply Officer aboard USS ENTERPRISE (CVN-65). He was at sea aboard ENTERPRISE on 9/11 and helped support the first strikes against the Taliban and Al Qaeda in Afghanistan. Bill met the love of his life, Vicky Neville, when they were Kindergarten classmates. After 25 years of shrugging off his overtures, they wed at St. Stephen’s church in Port Washington. They raised four children together over the course of ten moves during his Navy career. Bill’s final Navy tour was as the Supply Officer at the Naval Academy. Bill retired at the rank of captain and settled the Dawson family in Annapolis. 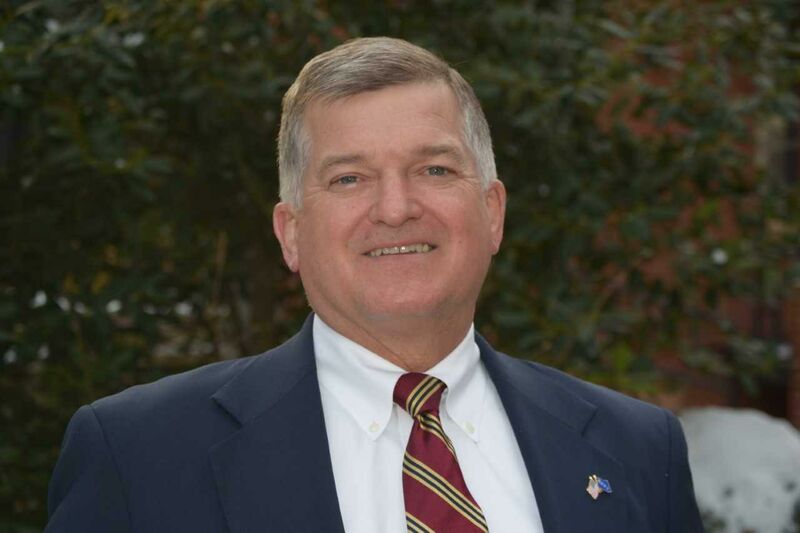 He worked as a Vice President of Rexel, a large electrical distributor, prior to being hired as the Executive Vice President of the Naval Academy Alumni Association. At the same time, he served as president of the USNA Class of ’82, a Naval Academy Foundation Trustee, a member of the Naval Academy Athletic Association, and an usher at the Naval Academy chapel. 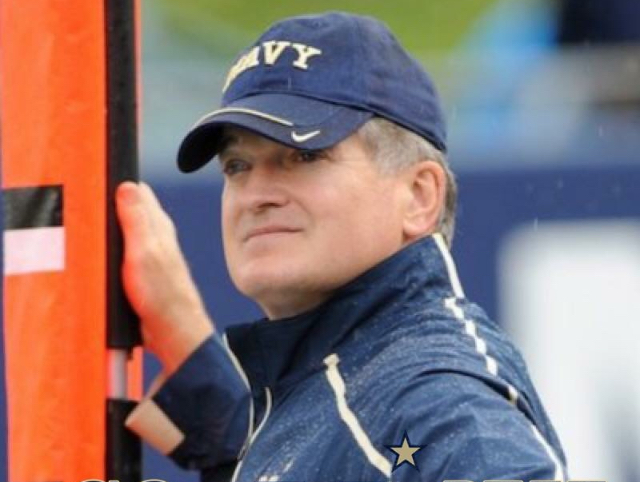 However, his favorite volunteer effort was working as part of “the most overqualified chain gang in NCAA history,” minding the yard markers on the sidelines with a handful of other classmates during Navy’s home football games. Bill had a lifelong passion for the sport of lacrosse. He was the Navy men’s varsity lacrosse team officer representative for three years under legendary coach Richie Meade as well as general manager of the U.S. Lacrosse men’s national team at the 2015 World Games in Denver. Bill will be forever remembered as an ardent supporter of his alma mater. He was a selfless friend and lamplighter whose word was his bond and who always cared for others more than himself. But more than anything else, Bill was a loving husband and father with a legacy that will live on because of what he taught his family by his example. He is survived by his wife Vicky; sons William “Buck”, Robertson “Wick”, and Henry “Riggs”; daughter Muriel “Reid”; and four brothers and two sisters, and many loving nephews and nieces. He was predeceased by his parents Bob and Mary Dawson of Port Washington, NY. A Memorial Service will take place on Oct. 15 at 10:00 AM in the Naval Academy’s Main Chapel. Reception will be held immediately following at the Naval Academy Club. In lieu of flowers, contributions can be made to the USNA Foundation, Athletic and Scholarship Programs, 25 Maryland Avenue, Annapolis, MD 21401. (Please add “In memory of Bill Dawson” in the memo section of the check).